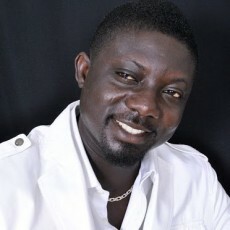 The president of Ashanti Regional Ghana Actors Guild, Bill Asamoah has explained that there is no special name for Kumasi movies as most people fondly call it ‘Kumawood Movies.’According to the president, Kumawood is a name of an event organization and for that matter, the name Kumawood cannot be used in place of Twi movies. He added that, Twi movies as they stand now don’t have a general name as other movie industries in America, Nigeria and India have. “Kumasi movies are not Kumawood movies as it has been generalized. Kumawood Multimedia is an event organization which has Kumasi movies at heart and decided to award actors and movie makers from that sector of the count” he said. This doesn’t mean movies from Kumasi should be named Kumawood movies as most people call it,” he added. “For now there is no general name for movies from Kumasi. You can call Kumasi movies Ghanaian movies but not Kumawood in order not to distinct it from the mother umbrella” he said in a conversation with Dora Kwarteng Ampong on Sankofa Radio in Virginia, U.S.A.
Probe by us has shown that most people on many platforms classify movies from Kumasi as Kumawood Movies.